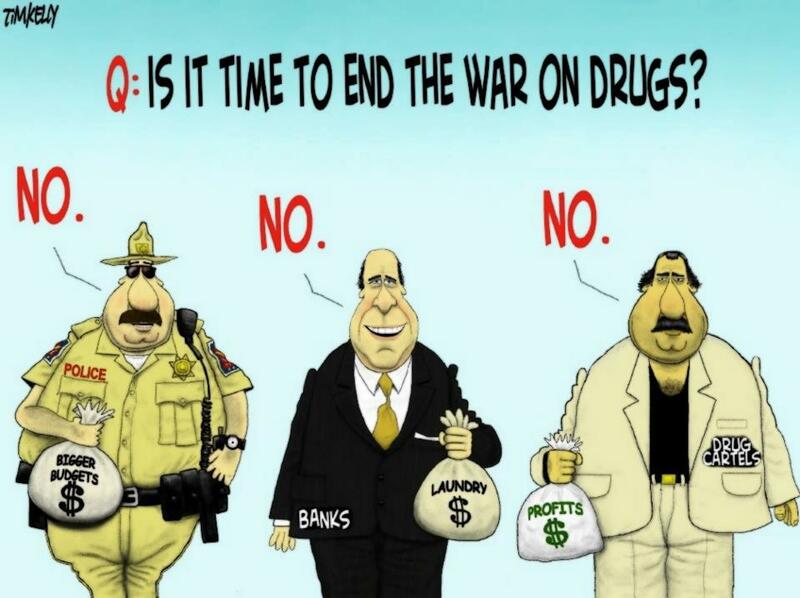 Just a few of the vested interests in mantaining Hysteria and the Drug war. What is the definition of Stupidity? It’s when someone keeps doing the exactly the Same thing over and over and yet expecting different results! Question: Has Cannabis prohibition succeeded in keeping Pot off the Streets? The Stats actually prove that Prohibition doe’s absolutely *Nothing* to prevent Cannabis use! The reality is over 50% of Kiwi’s have ignored the prohibitions and smoked Pot, and the rest simply don’t want to! Thus the Law does *Zero* to halt drug use, and in fact the stats show that prohibition actually makes our schools etc less safe because of the Criminal monopoly… and vendors who have less scruples about who they sell their drugs to than Legitimate regulated traders. This is simply a repeat of the failed BZP Prohibition which was only a success… for the Gangs and P dealers! People Love to do Drugs! Alcohol is a Drug!… Of Course the A-Dealers (Alcohol) love these prohibitions too… and you wonder why NZ has a Culture of excessive Drinking and drink related violence and crime! Yet the Populist politicians and Media never mention these sorts of factors… they pretend they don’t exist. They continue to maintain the lie that such Nanny State Prohibitions ‘make our communities safer’, and yet no one considers the reality that having Legal sales of drugs actually ‘makes our communities safer!’ and that Prohibition not only works to finance criminal Gangs and results in Underworld crimes between rival gangs, Home invasions trying to steel drugs, Murder and violence when deals go bad, etc etc… it also means more young people end up ‘associating’ with criminal Gangs from whom they buy their drugs. And this refusal to think through all these negative consequences of ‘the war on drugs’ also panders to the willful bigotry and fear of the Sheeple… whom love tyranny… in the name of oppressing their ‘Jews’… ie the unpopular minorities they have demonized. Then they wonder why their Teenage sons and daughters don’t want anything to do with them! Then they blame ‘the drugs’ when their adult Children end up in court and jail on Drug offences! They never consciously admit to themselves that it is their own bigotry which has now alienated them from their Adult Teenage Kids and has destroyed their lives by allowing the state to take away their rights and liberties, to criminalize them and oppress them! Tyranny is far more harmful to our society than the recreational drugs they fail to control. What the Government ought to do is simply put an R18 restriction on sales of Party pills and synthetic Cannabis, giving the Dairy owners an incentive to only sell such products to adults. The also should Legalise Cannabis, and BZP, and Nos!